Unique Country Estate of 18 acres with approx. 3148 sq ft 4/3/2 custom home built in 1995 has everything you could want or need. Located just outside Levelland City Limits. Amenities include guest cottage complete with heat/air, hot water tank, and laundry hookups ready to move into. Separate game room with a bathroom and basement. 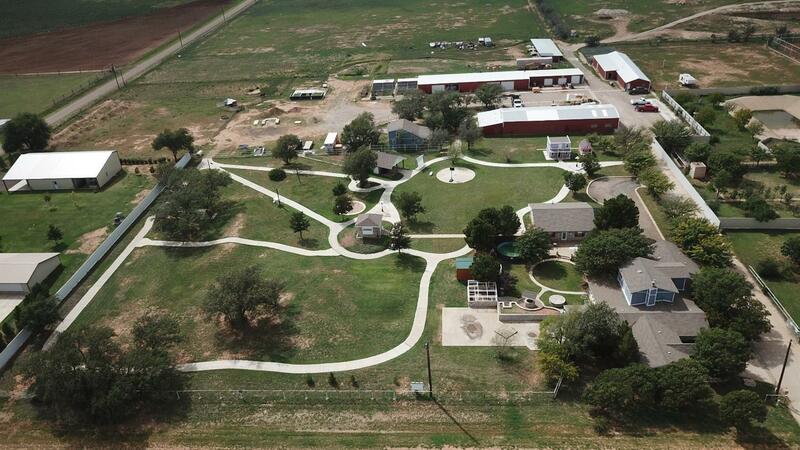 Perfect for home based business and also great horse property. Multiple shops include a 6680 sf. shop with 7 overhead doors, another 4080 sf. shop building that's partly sectioned off for a 34X19 office space with all plumbing for kitchen and bathroom, another 3420 sf. shop that is sectioned off for a large office and is temp. controlled. There is another building 100X23 that could be used for horse stalls etc. Owner is in concrete business so there is extensive concrete work done throughout the yard. Most of the property is fenced and sectioned off for different animals. Measurements are approximate. You don't want to miss this great property.